The Maggots were a family of Hobbits who lived in the Marish, on the prosperous farm of Bamfurlong: the family consisted of Farmer Maggot, his wife, and at least three daughters and three sons. He was friendly with Tom Bombadil, with whom he frequently exchanged visits; Bombadil called him Muddy-feet in jest. Farmer Maggot was a respectable Hobbit, famous for his mushrooms, which were the frequent target of thieves – in particular, a young Frodo Baggins, who was traumatized as a youth when caught and beaten by Farmer Maggot, who then set his pack of guard dogs (Fang, Grip, and Wolf) on him. In The Fellowship of the Ring, the Maggot family welcomed the four Hobbits into their home, fed them supper, and Farmer Maggot drove them to the ferry to escape the Black Riders. 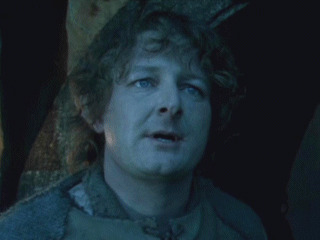 Frodo, though still traumatized by his previous experience with Maggot, discovered that Maggot held no grudge against him; in fact, he was quite friendly.